The National Space Society (NSS) is a nonprofit organization dedicated to the creation of a spacefaring civilization. 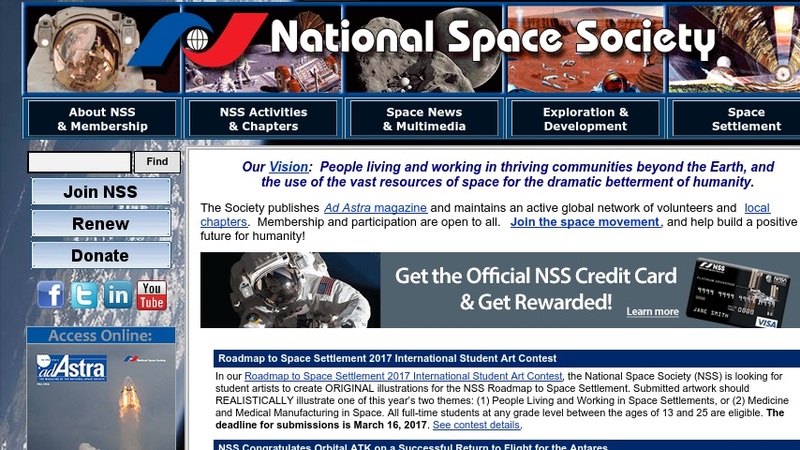 The NSS web site features information about the organization, its mission and vision, membership information, and a listing of NSS local chapters. The library features links to videos, books, and other publications on space settlements and bases, space policy, and technology. There is also information on the organization's magazine, "Ad Astra," including instructions for authors, publishing and advertising guidelines, and some archived content. Other materials include news articles, event announcements, and information on current space missions.